Three-dimensional knitted fabric provides 4-side stretch function, bending the knee during movement does not limit movement. Anti-slip silicone provides the best grip, so you don&apos;t have to adjust it in the gym. 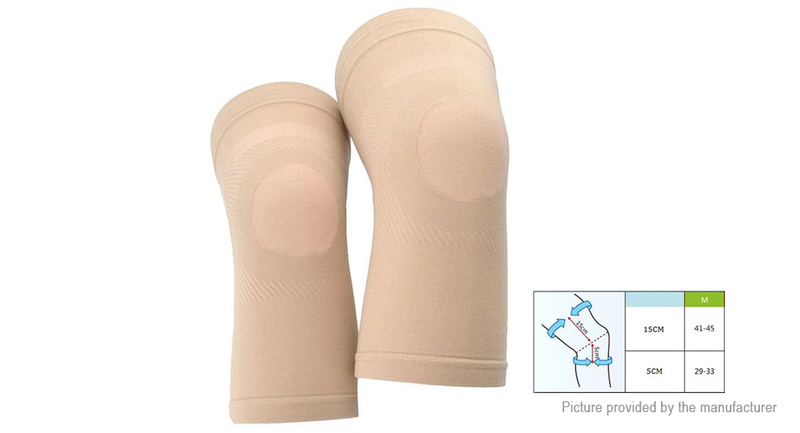 Light breathable, deodorizing, moisture absorption and sweating fabric, with new function of promoting blood circulation, can relieve knee pain and arthritis.